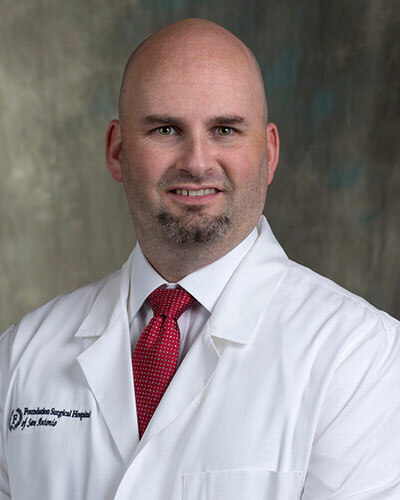 Richard K. Englehardt, MD, FACS is available to meet patients’ needs in general surgery as well as bariatric surgery. In addition to his general surgical training, he has completed advanced fellowship training in minimally invasive surgery and bariatric surgery. As an advanced laparoscopic surgeon, he is able to offer his patients excellent surgical results with less pain and healing times as compared to the traditional open surgical methods. He is also well versed in open surgical techniques should the need arise.Dr. Englehardt specializes in weight loss surgery and has extensive knowledge on the surgical treatment of obesity. He offers patients a wide variety of surgical weight loss options, including Roux-en-Y gastric bypass, sleeve gastrectomy and adjustable gastric banding. Dr. Englehardt also has a special interest in advanced endoscopic surgery, and is able to offer procedures such as Overstitch, stenting, and balloon dilation. He also performs a wide variety of minimally invasive general surgeries. In addition to performing laparoscopic weight loss surgeries, he also specializes in complex abdominal operations utilizing laparoscopy to treat diseases of the stomach, intestines, gallbladder, pancreas, colon, adrenal glands, liver, spleen, and hernia surgery. Dr. Englehardt is board certified by the American Board of Surgery, he is a Fellow of the American College of Surgeons, and has been recognized by the American Society for Metabolic and Bariatric Surgery as having successfully completed advanced fellowship training in bariatric surgery through a fully accredited fellowship program. He was born in Provo, Utah, and earned an Honors Bachelors of Arts degree in biology and honors studies from The University of Utah. He was awarded his MD from the medical school at the University of Iowa Carver College of Medicine in Iowa City, Iowa. He completed his general surgical residency training at Providence Hospital and Medical Centers in Southfield, Michigan. Following his residency training, Dr. Englehardt moved to San Antonio where he completed an advanced surgical fellowship in Minimally Invasive and Bariatric Surgery with Dr. Terive Duperier and Dr. Michael Seger in conjunction with The University of Texas Health Science Center at Houston, as well as a fellowship in robotic surgery at The University of Texas Health Science Center at Houston. Dr. Englehardt is a member of the American College of Surgeons, Society of American Gastrointestinal and Endoscopic Surgeons, American Society for Metabolic and Bariatric Surgery, Texas Medical Association, Bexar County Medical Association, Society of Laparoendoscopic Surgeons, and the Clinical Robotic Surgery Association.